Hung Hom Station Hong Kong is the city’s only international train station. It serves as the terminus for trains to Guangzhou, trains to Beijing and trains to Shanghai. Built to replace the much smaller Kowloon station, Hung Hom is in Kowloon rather than Hong Kong Island and in the Hung Hom district. To reach central Hong Kong – meaning Tsim Sha Tsui or Central – you’ll need to take the metro MTR at the station. While it’s not exactly central, getting to and from Hung Hom station is easy. The station is the terminus for the East and West MTR metro lines. To reach Tsim Sha Tsui, take the West Rail Line one stop to East Tsim Sha Tsui where there is a walkable interchange with the main Tsim Sha Tsui station. If you are heading to Central or Hong Kong Island, change at East Tsim Sha Tsui for the Tsuen Wan Line. 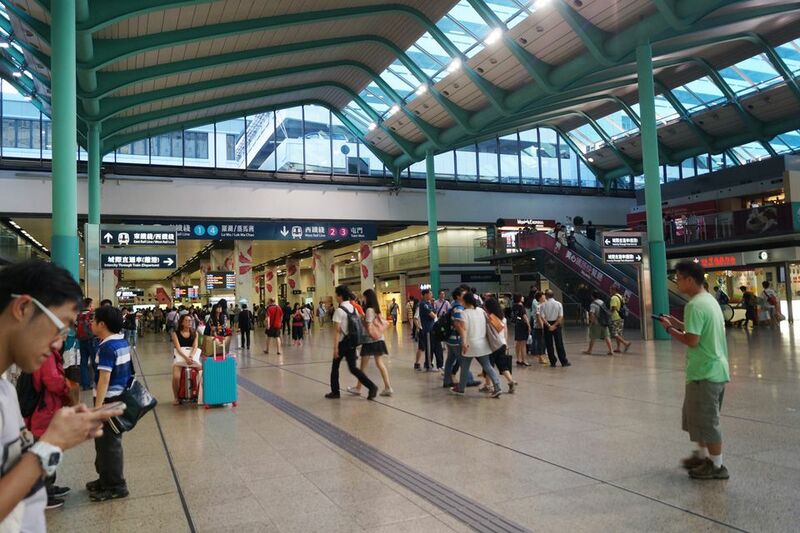 You can purchase Octopus cards and other tickets from the machines or manned counter at Hung Hom Station. For tourists, the MTR will be the easiest and quickest way to navigate Hong Kong, but there are also a number of buses running the Hung Hom route. You can catch buses 5c, 8A, 11K, 11x and 21, as well as minibusses 6A, 6 and 8 from immediately outside the station. The station is connected to Kowloon Station by a regular and free shuttle bus. From Kowloon Station, you can catch the Airport Express train straight to the airport. The station is modern and well maintained. It’s not twenty-four hours but open from early in the morning until around 1 am at night. You won’t be allowed to stay in the station overnight, even if you are waiting for a train. There is just about every sort of facility you could need at Hung Hom. You’ll find a number of ATMs and currency exchange vendors – although rates here are not favorable. There are also shops for buying magazines and newspapers – including English language materials – and kiosks to buy snacks. There are a handful of electronic left luggage lockers available for storing your suitcases and backpacks. There are regular trains to Guangzhou, Donguan, and Shenzhen as well as other parts of Guangdong. There are trains to Beijing and Shanghai on alternate days. You can find more details in the ticketing section below. Hong Kong and China share an international border and you will need a Chinese visa to take any international train. For citizens of most countries, Chinese visas cannot be obtained at the border but can be obtained in Hong Kong. Check with your embassy to see if a Chinese visa would get you into Hong Kong. All customs and passport checks are carried out in Hung Hom. Tickets to Guangzhou and other destinations in Guangdong can be bought on the day at Hung Hom station (you will need to show a valid Chinese visa). Trains are frequent, at least hourly, and rarely full unless it is rush hour on a Friday. You can also purchase tickets online via the English language MTR website. Tickets to Beijing and Shanghai are a little trickier. You’ll need to book at least a couple of days in advance. Trains can sometimes be full, especially during holidays. Tickets can be purchased from Hung Hom Station, or from travel agents in the city, such as China Travel Service (CTS). There is not a great deal of choice either inside or outside the station. Your best is Maxim’s Palace, a chain of canteen style restaurants that serve up decent Cantonese staples at very fair prices.